A governess in a French ch�teau encounters an apparent plot against her young charge's life in this unforgettably haunting and beautifully written suspense novel. When lovely Linda Martin first arrives at Ch�teau Valmy as an English governess to the nine-year-old Count Philippe de Valmy, the opulence and history surrounding her seems like a wondrous, ecstatic dream. But a palpable terror is crouching in the shadows. Philippe's uncle, Leon de Valmy, is the epitome of charm, yet dynamic and arrogant-his paralysis little hindrance as he moves noiselessly in his wheelchair from room to room. Only his son Raoul, a handsome, sardonic man who drives himself and his car with equally reckless abandon, seems able to stand up to him. To Linda, Raoul is an enigma-though irresistibly attracted to him, she senses some dark twist in his nature. When an accident deep in the woods nearly kills Linda's innocent charge, she begins to wonder if someone has deadly plans for the young count. About Sandra Brown (Foreword) : Sandra Brown is a published author of children's books. 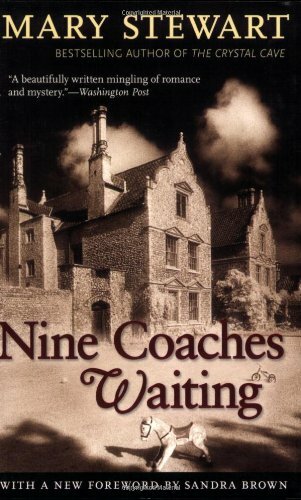 Some of the published credits of Sandra Brown include Hello, Darkness, Nine Coaches Waiting.